Denton Cassal is a sales engineer on a sales trip to Tunney 21. His mission is to recruit an engineer for his company, Neuronics Inc., with the aid of an electronic implant called Dimanche. On the way, Cassal has a transfer point on the planet of Godolph. Unfortunately, his transfer doesn’t go as smoothly as he wants, and he now seems stranded on Godolph. There is something strange about travelers on Godolph, as Cassal quickly learns. Is he to be stranded on Godolph, become a victim of violence, and reach Tunney 21 and complete his mission? 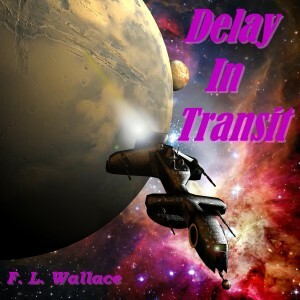 From science fiction and mystery writer F. L. (Floyd) Wallace.